Conifer Bailey Forums 285 Bound • View topic - Support the Continental Divide Trail Coalition! Support the Continental Divide Trail Coalition! Post subject: Support the Continental Divide Trail Coalition! We'd like to announce a recently formed nonprofit organization with local ties whom we support! You can Like them on Facebook or Follow them on Twitter as well. New Organization Launched to Protect the Continental Divide Trail! Denver, Colorado - The Continental Divide Trail Coalition (CDTC), a new organization dedicated to the Continental Divide National Scenic Trail, officially opened for business on May 21, 2013 with a kickoff celebration at the American Mountaineering Center Museum in Golden, Colorado. 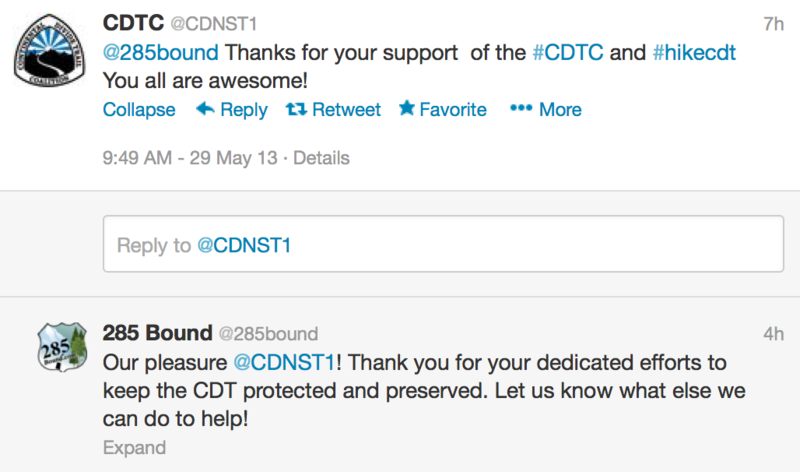 The CDTC was formed to be the public voice for the 3,100-mile Continental Divide National Scenic Trail. The Continental Divide Trail (CDT) is one of three main National Scenic Trails, along with the Pacific Crest Trail and the Appalachian Trail, known as the "Triple Crown" for long distance hikers. The Coalition fills a critical need for the CDT, serving as a voice to help coordinate its management, engage the public, and most importantly of all, make sure the Trail is protected so it remains a resource of national significance, not just for today, but for generations to come. CDTC is filling the gap left by the Continental Divide Trail Alliance (which ceased operations in 2012) by building a large network of supporters, partners, and volunteers who understand what is at stake in a movement to complete and protect CDT. CDTC’s official launch began with an exciting “crowd funding” campaign titled “Finding Our Way on the Continental Divide,” attended by more than 120 people in person and hundreds more via virtual technology. The campaign, which has already raised more than $4,000 in its first 24 hours towards its goal of $35,000, can be joined by going to the CDTC website at http://www.continentaldividetrail.org. 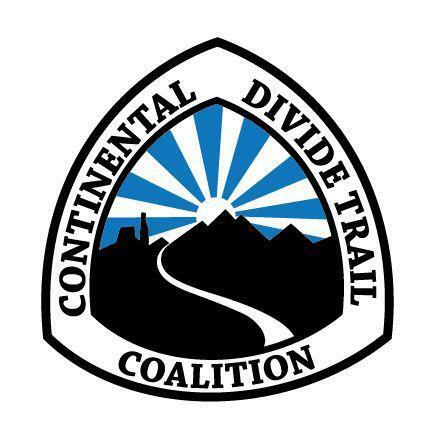 Continental Divide Trail Coalition: The Continental Divide Trail Coalition (CDTC) is a national 501(c)(3) nonprofit membership organization working with partner organizations to build a strong community of supporters and trail enthusiasts who want to see the Continental Divide Trail completed and protected. For further information, contact Teresa Martinez, Director, at tmartinez@continentaldividetrail.org or (720)-340-2382 (CDTC). Sustaining, building and protecting the Continental Divide National Scenic Trail. The Continental Divide Trail Coalition (CDTC) became an official 501(c)(3) non-profit organization less than a year ago in November 2012. We’re coming together to rally the outdoor community to generate seed funding to protect the current and future state of the CDT. Federal funds for land preservation are slowly being restricted due to sequestration and cuts to federal spending in general. The trail corridor and its preservation is falling through the cracks, and we are facing great capacity difficulties in maintaining what so many have worked so hard to build. This campaign will directly support much needed map making, data collection, volunteer trail building and national advocacy efforts.